What do we love best about Designers Guild and their luxury fabrics? Well, this could be a long list! Probably best known for their dramatic and colourful designs, their fabric can be anything from a fast-fashion fix to that future family heirloom that will last a lifetime. 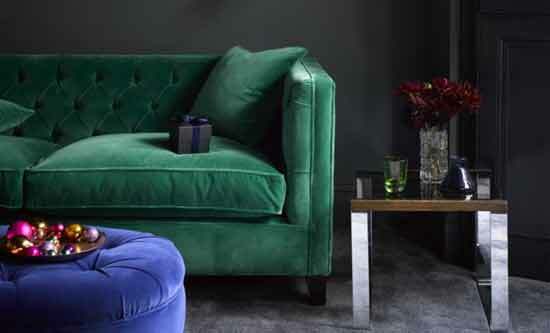 No matter what style you choose, a Designers Guild sofa is almost certainly going to be a talking point in your home. Designers Guild fabrics are designed with quality and creativity at their heart, something that our very own furniture designers would agree is the essential foundation for long-lasting, British sofas. Fall head-over-heels for large-scale floral fabrics, which bring contemporary country chic, choose linens or cotton velvets in all the colours of the rainbow or regatta stripes with pops of pink and green for updated seaside style. Founded in 1970 by Tricia Guild, Designers Guild have gone from strength to strength and now have almost 9,000 fabric designs in their core collection. Each Sofas and Stuff showroom is full of our favourite picks, as well as having our expert Design Consultants on hand to help you find the perfect selection of fabric to make your interior dreams come true. Choosing a cloth Guild for your furniture designs is a perfect way to add personality and flair to your home. The mix-and-match look can easily be achieved with these inspirational collections. We love the look of Brera Lino linen next to Varese velvet or soft Salso cottons snuggling up to tactile Cheviot wools. Play about with patterns too. The geometric designs of Padua or Pugin sit at a juxtaposition with one of our favourite faded florals, Floreale but could add eclectic charm. 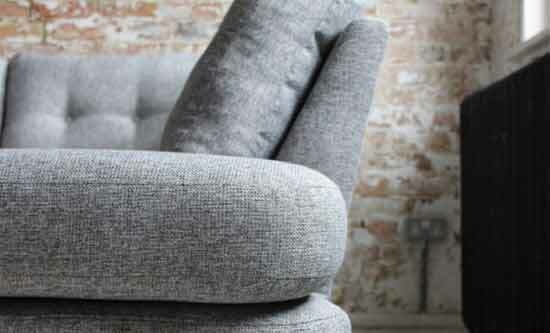 See our full range of fabrics in our sofa stores. Click to find your nearest showroom. The Designers Guild umbrella incorporates collections from the likes of William Yeoward and Christian Lacroix too – a dream come true for anyone that loves cloth furniture as much as we do. Each William Yeoward book is a patchwork of designs fit for the King of his castle or the Queen of her cottage, be that by the sea or the depths of the English countryside. William Yeoward fabrics have clear connections to both the British Isles and more exotic locations, with Ikat prints and Cornish style marine stripes sitting comfortably alongside one another. Choose Christian Lacroix for added drama and exotic characteristics. A Christian Lacroix fabric can have you soaking up the sun on the French Riviera or immersed in a tropical paradise, all with the addition of some butterfly cushions or a sumptuous sofa in a palm leaf print. Pop into your nearest showroom to peruse some fabrics at your leisure, we’ll even provide a hot cup of coffee to help get the creative juices flowing. Choosing your perfect piece of Designers Guild furniture will take time and we will be on hand to guide you as much or as little as you would like. Choose from our 12 showrooms nationwide or find inspiration from home with our Customer Gallery, ‘Design Your Own Sofa’ pages and by browsing our full range of British couches, beds and chairs. You may just find your perfect Fabric Guild and designer bespoke furniture.